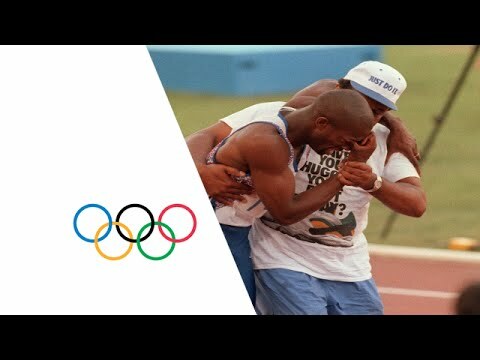 In the 1992 Olympics runner Derek Redmond tore his hamstring during a semi-final race. Although he was in tremendous pain, he persistently limped towards the finish line. Seeing his son in tears, Derek's father came put his arm around his son and they walked together to the finish line. Redmond came in last place, but received a standing ovation from the crowd due to his dedication and persistence to completing his goal. You may feel injured right now in the race of life. But understand that, if you are a Christian, then you don't have to run the race alone. Let The Father come along side you and see you through. Get back up, keep pressing, and keep trusting Jesus!